CohnReznick takes a strategic approach in protecting your data assets, intellectual property, and brand reputation. 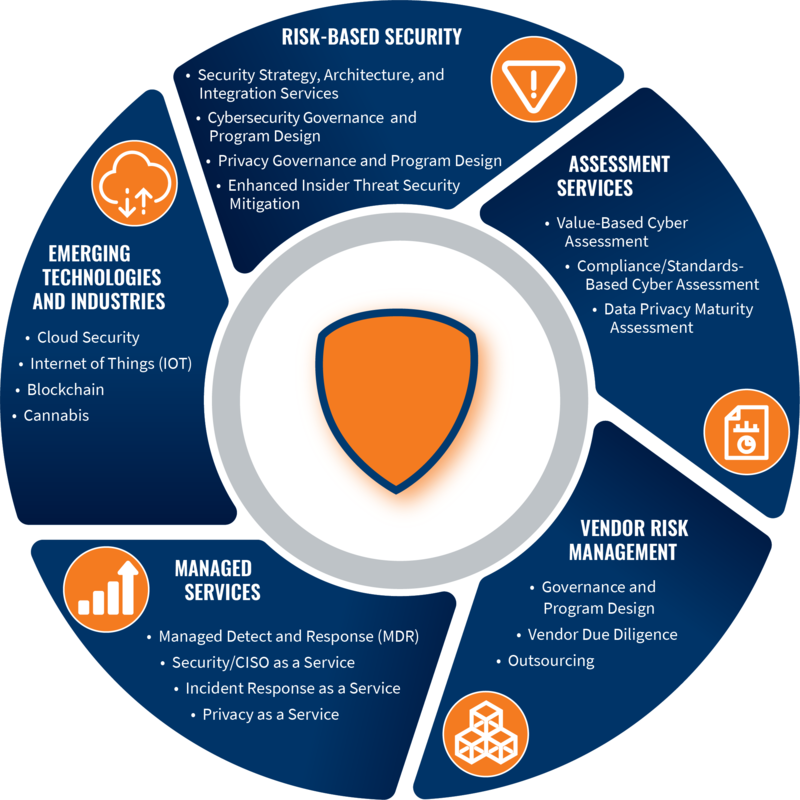 By combining established best in class risk management approaches with the latest cybersecurity technologies, we assess cyber risks, conduct threat analysis and breach detection, develop cost-effective security architectures and governance procedures and, should a breach occur, respond quickly to mitigate damages. Customers, employees, vendors, and other stakeholders want reasonable protection from companies to secure critical assets. They also expect well-established plans that will enable organizations to react quickly to a breach and minimize damages. Unfortunately, many companies view cybersecurity merely as a set of preventive technologies. They tend to deploy “one size fits all” solutions that fail to reflect their unique assets, organizational structure, and risk profile. Right approach. Strategic solutions. Measurable results. CohnReznick provides defined, measurable results that help deliver growth and safeguard your assets from risk. We work with businesses to help understand new cybersecurity and privacy risks, identify cybersecurity capabilities gaps, and assess data-governance programs. CohnReznick goes further: We help you proactively and continuously monitor cyber-risks, identify and protect against malicious traffic, and quickly respond to incidents. We help design and instill a company-wide culture of risk and data privacy that is essential to create and sustain a culture of trust—an increasingly critical business capability. On-Demand Webinar: How Will The New California Privacy Rule Impact You? In this report, CohnReznick’s 2019 Trends for Technology CXOs, we focus on emerging issues that tech executives should consider as they navigate the challenges ahead and leverage the opportunities that disruption inevitably brings. In December 2016, the New York State Department of Financial Services (DFS) published cybersecurity regulations designed to protect consumer data and financial systems from escalating cyberthreats. The recent reservations system data breach at a hospitality company, compromised the personal and financial information of millions of customers. As more businesses embrace digital transformation, they digitize more critical processes, applications, and assets. In working with businesses over the past year, CohnReznick has seen an increase in web server intrusions and compromises primarily caused by malware being implanted on systems via phishing attacks. Blockchain is best known as the distributed-ledger technology that underpins cryptocurrencies like Bitcoin.